This Map depicts the area of JuYong Pass and the Badaling Great Wall of China section located some 58 kilometers outside Beijing proper. Both Old and New "Badaling" Railroad stations are included - New QinglongQiao Station being located somewhat to the South-West. 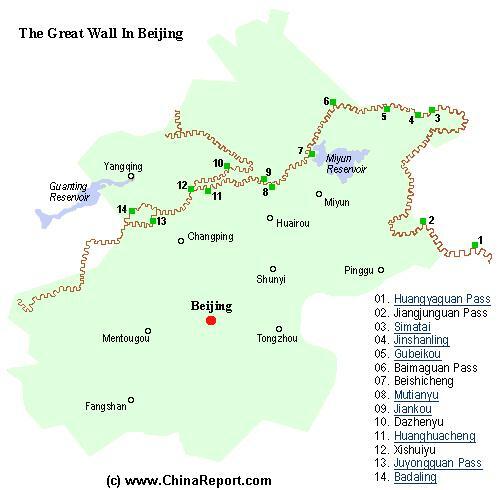 The entire walkable section of Badaling Great Wall of China is included in this Site + Area Map. Mind you, with the expansion of Beijing into a Modern Capital the Area of ChangPing and Badaling have changed dramatically, integrating them as an outlying district of Beijing. Area's away from The Great Wall, south of Badaling are still under Development as an industrial zone for the City. Nearby Farmlands have disappeared. COMPARE MAPS AND FOLOW LINKS TO MORE INFORMATION AND PHOTOS !! 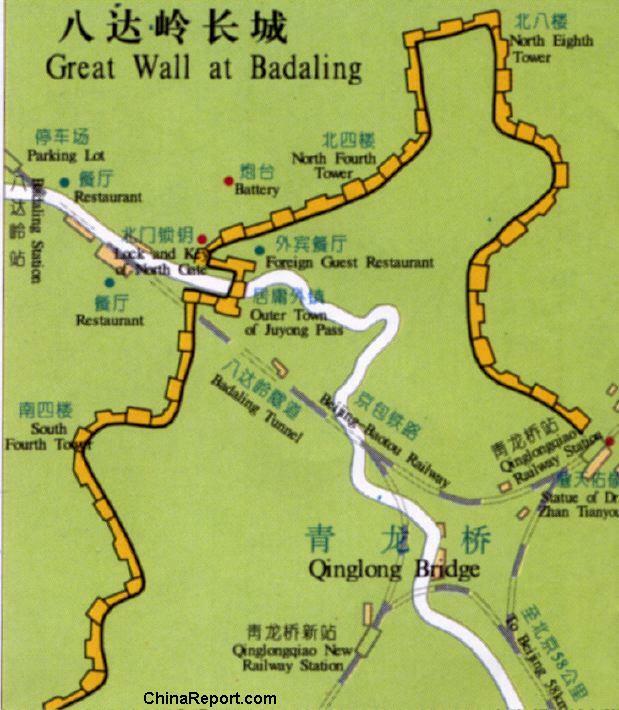 UPDATED: Badaling, The Great Wall of China Map 02 - 2009 AD Version.